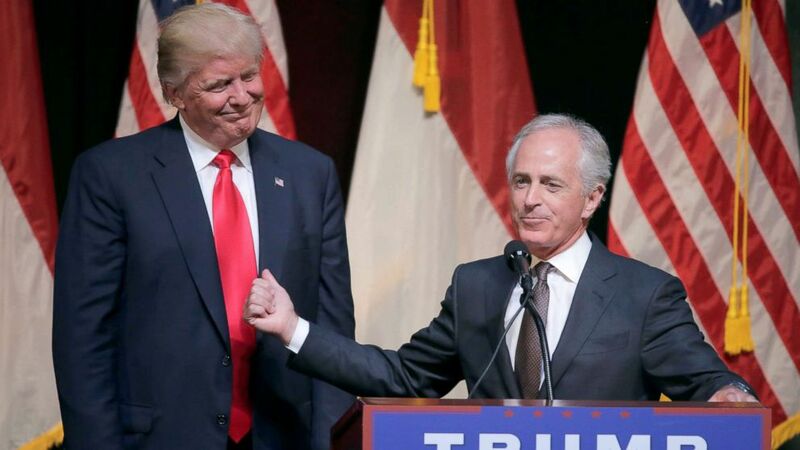 Corker was an early Trump ally, endorsing him during the presidential campaign. But Corker has since been wary of how Trump is handling the presidency and, in particular, his treatment of Secretary of State Rex Tillerson. “The president undermines our secretary of state [and] raises tensions in the area by virtue of the tweets that he sends out,” Corker said. Another negotiation Corker wants Trump to stay out of is the tax debate. The president hit back at Corker on Twitter in response to the senator’s comments Tuesday morning. Trump said Corker “couldn’t get elected dog catcher in Tennessee”. Corker had announced last month he won’t seek a third term and will retire from the Senate when his term ends in 2018. Trump on Twitter Monday knocked down reports that the tax plan the White House and Republican leadership are drafting would cap retirement saving plans. “There will be NO change to your 401(k). This has always been a great and popular middle class tax break that works, and it stays!” Trump tweeted. Details of the White House and Republicans’ tax plan are still being hashed out and the plan has been mostly kept under wraps. As chairman of the Senate Committee on Foreign Relations, Corker also weighed in this morning on the Oct. 4 ambush in Niger. The Pentagon has opened an investigation into the attack amid questions about how the mission turned deadly and led to the deaths of four U.S. service members. “Those details we don’t know, but we do know in that general area there are a lot of people that wish us harm,” Corker said. U.S. troops should be in Niger, he said, but he and fellow GOP senators want to ensure that Congress is “playing the appropriate role” in authorizing military force in that area. ABC News’ Kelly McCarthy contributed to this report.